An especially curious and disturbing marina development proposal at Treasure Island has recently started moving forward again after having been put on the back-burner a decade ago. The staff of the Treasure Island Development Authority (TIDA) is now actively working with private developers to convert most of Clipper Cove at Treasure Island into a privately-owned and operated marina dedicated to serving large boats and super-sized yachts. This proposal would essentially sacrifice the youth sailing, dragon boating, disabled sailing, and many other instructional and recreational boating programs that have found a home in the Cove and served thousands over the last 20 years, including the Treasure Island Sailing Center (TISC) and the annual California Dragon Boat festival. TISC has served low-income, inner-city, and disabled children from it’s inception. What makes this marina proposal particularly astonishing is how such a spectacularly bad idea has moved as far forward in the official process as this one has. While the media spotlight on Treasure Island has been centered on last month’s jump start of the multi-billion dollar redevelopment of land parcels at Treasure Island, the marina proposal for the cove at Treasure Island quietly moved forward as well this past spring. To get a sense of the scale of what developers are proposing, compare these two images below. The first image is an aerial photo depicting the cove as it currently stands. You can see the current marina tucked into one small corner of the cove, as well as a graphic illustrating the race course used by dragon boaters. The second image is a drawing presented this spring by marina developers to the TIDA Infrastructure and Transportation Committee. The developers would move the marina out of the Cove’s northwest corner towards the center of the cove and expand it many-fold. 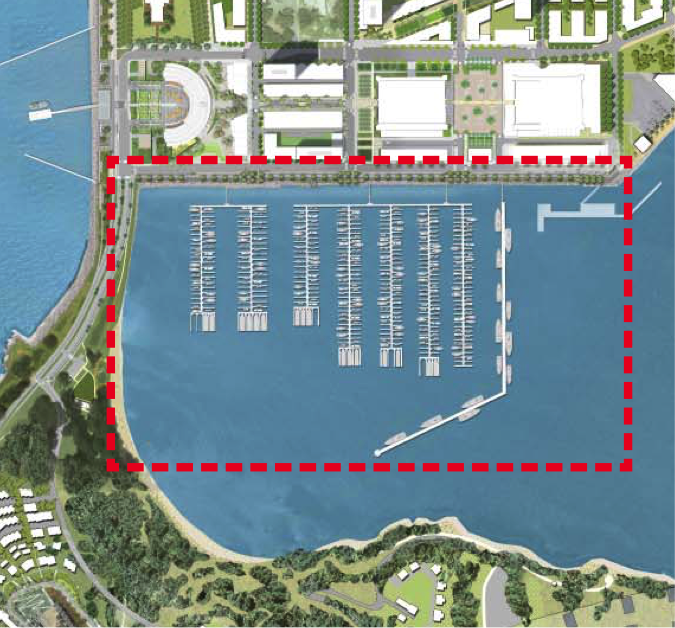 In essence, the developers are proposing to covert most of Clipper Cove into a private marina. By looking at the images above you can get a sense of the unique geography of Clipper Cove which has made it home to some of best, if not the very best, recreational and instructional small boating to be found on the San Francisco Bay. The west side of Clipper Cove, i.e. the back end of the cove, is formed by the long narrow causeway that connects Treasure Island to Yerba Buena Island. That arrangement affords the magical combination of flat water and good wind found in the Cove. The causeway blocks waves and chop while permitting the prevailing west wind to pass over to the cove, and even moderates that breeze a bit when summer wind machine cranks up. While the Bay currents rip along outside of the mouth of the cove on the east side, the Cove itself does not experience that movement. Not surprisingly this set-up has attracted many users over the years including youth sailing, disabled sailors, dragon boating, Olympic class racing (the U.S. Soling trials for the 2000 Olympics were held in the Cove), keel-boat raft-ups, kayaking, paddle boarding, high-school and collegiate competition and more. The Cove is also home to the non-profit Treasure Island Sailing Center (TISC) that has put thousands of San Francisco public schools kids on the water – many for the first time ever. In fact, TISC is the only place outside a private yacht club where kids can learn to sail in San Francisco. Marina backers have pointed to the provision of a new building for TISC in the larger Treasure Island redevelopment plan. While that’s welcome, what good is the building if there is no place to sail? The youth sailing program currently uses the whole length of the protected part of the cove, approximately 2,000 feet. The young sailors in particular avoid the mouth of the cove where the current can sweep them away. Under the developer’s proposal the only save place to sail for these kids would be the 400 feet or so between the mouth of the cove and the dock/breakwater that would block off the rest of the cove. In image above that’s the small area just inside the left side of the box formed by the dotted red line. That is, of course, completely ridiculous. The Cove also hosts the annual Dragon Boat Festival that draw tens of thousands to Treasure Island, national dinghy racing championships, such as this year’s V15 nationals, the annual PCISA high school Golden Bear regatta, the Cal Sailing Team, and much more. The Cove is one of the San Francisco’s most valuable open water resources, and one of our safest protected areas for instruction and recreation on the water. The marina plan was developed 20 years ago in the early 1990’s shortly after the Federal Base Closure Commission brought an end to the Naval base at Treasure Island. A Draft Reuse plan for Treasure Island was approved in 1995. Public comment was collected by the Treasure Island Citizen’s Reuse Committee, which completed its work in 1996. And the San Francisco Board of Supervisors finally approved the plan in 1996. The period for the scoping of the follow-on environmental impact report, which was used to determine “the issues to be evaluated in the EIR and designing the reuse alternatives for evaluation,” ended in October of 1996. You may have heard that the EIR for Treasure Island was recently updated, and while that is true for the land side development of Treasure Island, that update explicitly excluded the marina, with TIDA stating that the earlier EIR provided final project level clearance for the marina. However, it’s hard to understand why the same real-world factors that called for an update to the land side development wouldn’t also apply to the marina, regardless of the legal niceties that might have already been secured for the marina. The 2005 EIR which provided program level clearance for the land side development and project level clearance for the marina explicitly states that the Naval Station Treasure Island (NSTI) development “is assumed in this EIR to be built out by 2015…”, and of course that development hasn’t even started yet. The EIR also states “because of possible changes in the plans for the long-term reuse of NSTI, it is expected that a new EIR will be prepared for such long-term reuse plan prior to it’s approval,” and that update was in fact done a couple years ago for the land side development plan. The common sense logic that drove an update for the land side development should apply to the marina, too. The public planning process for the Cove is clearly way out of date, 20 years out of date. The age of the resulting planning documents that control the marina development raises some serious legal questions. For example the shelf-life of an EIR is generally considered to be 10 years and the EIR for the marina was certified in 2005, exactly 10 years ago. The NEPA certification covering the marina (required for any construction permits issued by federal agencies) is even older. However, regardless of the legal issues, there is clearly an ethical challenge. The marina proposal is outdated and no longer reflects the public interest. It should not move forward until it is reevaluated and the public benefit fully and properly considered. The proposed conversion of Clipper Cove to a privately owned and operated 400-slip marina will sacrifice an instructional and recreational boating treasure. While San Francisco needs more marina space, this particular plan is not appropriate. The marina would provide 400 slips running in length from 35 feet to 80 feet. The South Beach Harbor run by the City next to AT&T Park currently charges $792/month for a 50’ slip, assuming you can get in. Presumably a privately operated marina would charge more, possibly quite a bit more, given that the waiting lists for such berths in City’s two public marinas are backed up over a decade, sometimes even longer. This is not a marina designed for your average boater. From the developers point of view a marina dedicated to large boats and super-sized yachts make sense. That’s where the financial upside is. 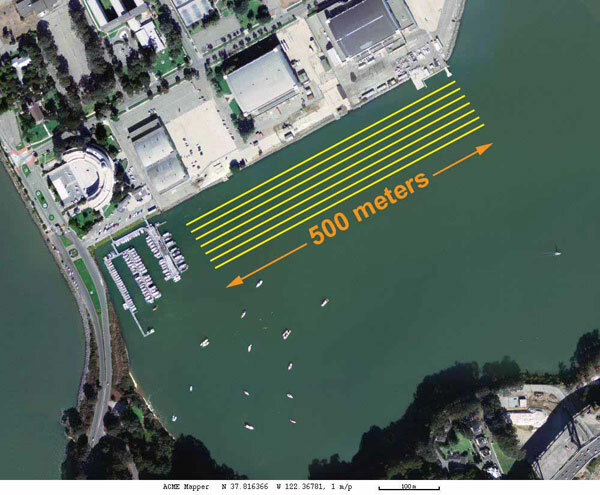 The San Francisco Small Craft Harbor (on either end of Marina Green along the north side City front) currently has 20’ and 25’ slips available. And a call over to the harbor master’s office at the Berkeley Marina found that a 30’ slip could be had this month. And speaking of money, does Treasure Island really want to lose the annual dragon boast festival? Last year the festival brought 60,000 spectators to the island. The event is growing every year as the sport is growing by leaps and bounds. All things being equal I don’t have a major objection to a private marina dedicated to large boats and super-sized yachts. The question is whether we want to sacrifice one our best places on the Bay for that marina. It is particularly ironic that the best opportunity for youth to learn to sail in San Francisco will be lost in building this marina. Where will the next generation of sailors come from, just private yacht clubs? That is not a sustainable strategy for the sport. Developers will undoubtedly tell us that they need the entire cove. They will say that the finances don’t pencil out for a smaller marina, that a smaller footprint that would leave some room for other boaters isn’t feasible. And they are likely to raise similar financial objections when other locations are suggested, such as the east side of the island. Developers always say that when they don’t get their way. But even if they are right about their finances, Clipper Cove is a public resource. It does NOT belong to the developers. If they can’t make a profit on this project, then they need to find somewhere else to invest their money. I’m sorry for them that they got as far as they have, and have invested as much as they have (whatever that is). But that’s the risk you take when you are a real estate speculator. And that’s exactly what this proposal is: real estate speculation. Clipper Cove should not be sacrificed for the private profit of the developers and their speculator backers. If the Cove is transferred into private hands the public will lose all access to most of a cove that has become a learning ground for thousands of children and adults. The marina still has several regulatory approvals to secure before it can move into construction from other Bay Area agencies such as the Bay Conservation and Development Commission. Each of those approval processes will provide an opportunity to speak out about the public sacrifice involved in developing this marina. However, the Treasure Island Development Authority needs to step up and take responsibility for the development it is shepherding. TIDA should put a temporary hold on development and use that pause to solicit input and conduct a public hearing to better understand the public trade-offs in converting most of Clipper Cove to a private marina. When duck hunters head out for the marsh at 2:00 AM, they usually face a ritual question: “got your gun and your waders?” because whatever else you might forget, you’re not hunting if you don’t have both of those. 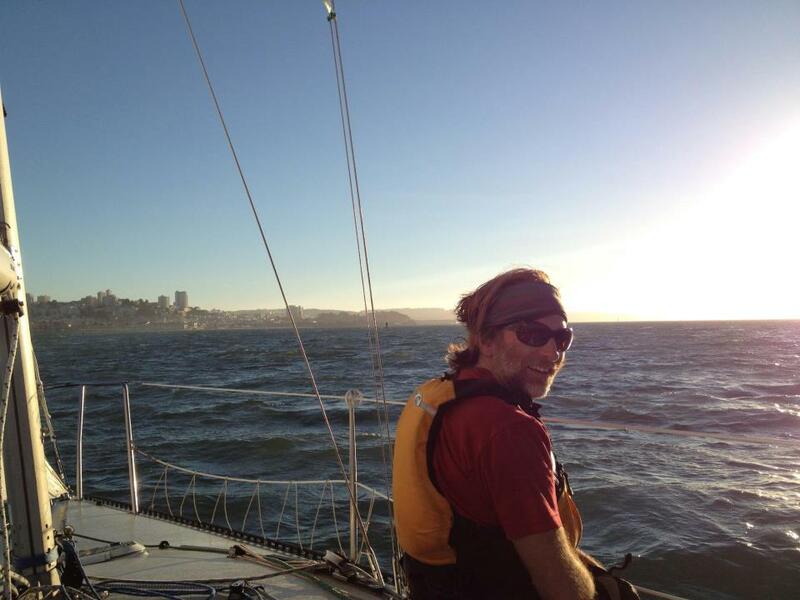 A good sailing jacket is almost as important when sailing on the Bay where chop and splash sometimes soak the crew up on the rail (which, by the way, is the best seat on a boat), and everyone on board is liable to be hit with at least some spray on the windy days. The sailing clothing industry is fairly large with several extensive lines made by various companies. The catch is that the pricing befits the stereotype of affluent sailors while the features offered are often 5-15 years behind the features found on the apparel manufactured for sports. I’m not sure exactly why this is. Perhaps buyers in the sailing world are considered captive consumers who don’t have ready alternatives. 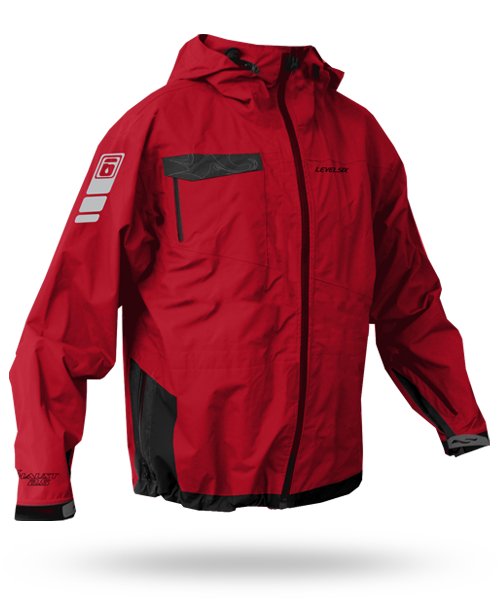 In any event, the result is that features such as pit-zips which are pretty much standard on rain/water gear in all other sports are almost never found on sailing jackets. And the price points for the outdoor gear in other sports are much better, perhaps due to the fiercer manufacturer competition in those markets. The way out of this first-world consumer dilemma is pretty simple: abandon ship and start searching through the gear made for other sports, in particular: paddling, bicycling, and skiing. These manufacturers make gear that has better features, lower prices and stronger designs that perform and hold up just as well (if not better and longer) than sailing gear. Why pay $350 for a pair of sailing bibs when you can find the equivalent ski bibs on sale every spring for $100? Why pay $450 for a “sailing” splash jacket, when you can buy a better jacket, a “paddling” jacket from a kayak-oriented manufacturer, for $250? After looking around recently for a modestly-priced splash jacket, I ended up going with the Ria Jacket by Level Six, a paddling jacket, and I couldn’t be happier. The fit is close but the cut is smart, making movement easy to get around the lines, fittings and shrouds on a boat. The jacket has (of course!) pit zips and great pockets. Waterproof features everywhere. There is a hood with a drawstring to hold it in place when you turn your head, and a built-in visor. And the price is right. So, no sailing manufacturer logo for me.